When I travel, I use Uber and other similar ride-sharing apps from time to time. The reason is convenience, ease and in most places, the ability to save money with Uber over using taxis. Let’s go back to three weeks ago. I stood on a street corner in the Romanian city of Timisoara. My phone was in my hand and I opened the Uber app. I typed in my destination and an estimate of the fare was shown on the screen. However, I noticed that the fare was more than double the fare I had paid for that exact same trip 2 hours earlier. I looked more closely at the Uber screen. 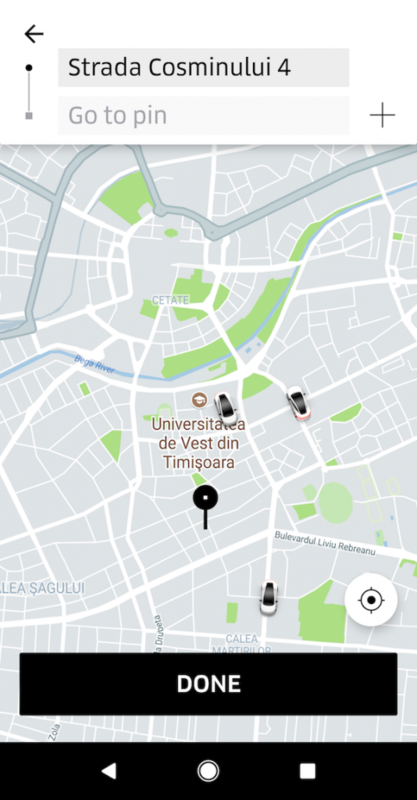 And I saw that there were only 3 Uber vehicles operating at that moment in Timisoara. I watched the map for a few minutes, noticing that none of those 3 cars picked anyone up. Two of them didn’t move at all and the third kept driving around one particular neighborhood. So where was the increased demand if the only 3 Uber cars in the city at that time did not have any customers? My conclusion is that ‘increased demand’ is not based on actual increased demand. It seems to be based on ‘assumed increased demand’. Maybe it’s based on the time of day in certain places or the amount of people that open the app or the amount of Uber drivers on the road (less drivers automatically equals more demand even if nobody is looking for an Uber). Whatever the reason, it doesn’t appear to be based on actual demand. Usually, this reduces the fare, helping me save money with Uber. If the fare doesn’t decrease, I’ll try it again. Spending a couple of minutes closing and re-opening the app might sound silly but it can certainly help save you money. While in Timisoara, the fare went down by 40% just like that. I then requested a vehicle and a few minutes later I was on my way. I’ve done this many times over the past couple of years. Closing the app and restarting it will generally help you save money with Uber, simply because the ‘demand’, or however it is calculated, might change in those few minutes. Or maybe Uber displays a lower fare the second or third time you re-open the app because you closed the app and showed signs of not using their service. They want to get you to book a car so they lower the fare…maybe? Again, it can take a few attempts at restarting the app, and you might have to wait a few minutes, but I’ve almost always ended up with a lower fare eventually. In addition to the above, if you really want to save money with Uber, you should always double check what Uber charges you after every ride. I’ve had to contact Uber 5 or 6 times about incorrect fares. Their customer service has always been excellent and in each case, they’ve corrected the fares, but if you’re not careful, you can pay more than you should be paying. I’m now in the habit of scrutinizing every fare after it ends because I noticed that drivers tend to play a few tricks. Example 1: When being dropped off at airports, I’ve had drivers charge a ‘parking fee’ when they never even went into the paid parking lot. They just dropped me off in front of the airport as normal. Example 2: In one case, my Uber driver actually did drop me off in the paid parking lot (as per the airport’s rules) but he left right away. The sign at the parking lot gate stated that every vehicle received 10 minutes free entry, but the driver added a parking charge onto my fare anyway, thinking I wouldn’t notice. 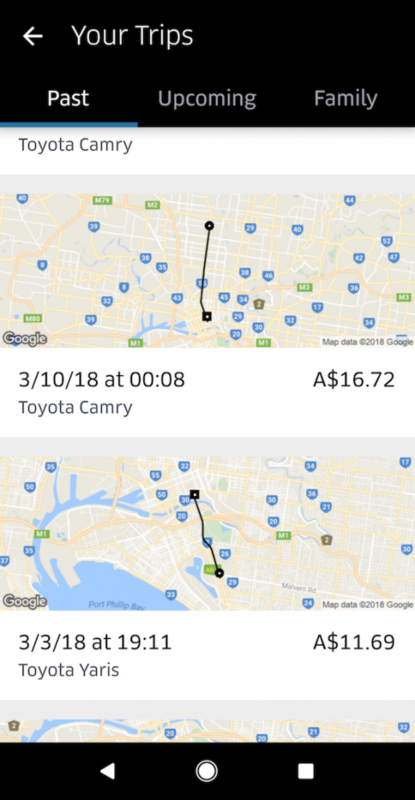 Example 3: In Melbourne, Australia, I had a driver somehow change the destination on the app during the trip and then go a very long route to take me where I really needed to go. I’m still not sure what happened exactly but the final fare was very high compared to all online estimates for this particular route. Again, in all instances, Uber corrected the fare quickly. But these are all situations that we can easily miss and most drivers that mess around are counting on the fact that you’ll miss it. 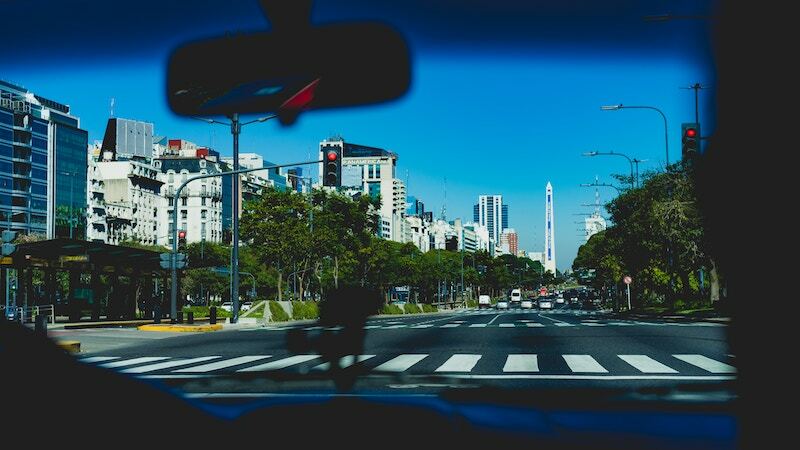 If you don’t already check your Uber fare for any suspicious charges or inaccuracies, it might be a good time to start doing so. If you do notice something strange, send a message to Uber customer support. If it is incorrect, they’ll correct it and if it’s correct, they’ll explain why. In the end, you’ll end up paying only what you should be paying and nothing more. Do you have any other tips on how to save money with Uber or tips for similar services around the world? I had an experience similar to what you described here with surge pricing. I got into PDX airport and was quoted $110.00+ dollars for a 30 minute ride. Closed the app, waited 10 minutes, price came down to about $45.00. It’s always worth trying to wait out surge pricing. If you’re at an airport and have a seemingly forever surge, you can try taking a free shuttle or public transit about 5 minutes away from the airport and you’ll notice a steep price reduction! I use the same trick of opening and closing the app to lower the fares. Works like a charm. Although sometimes you do have to wait more than 2 minutes. It’s also awesome that Uber customer service is great so refunds for cases like you mentioned in your post are quick and painless! what can you say about the driving quality of the Uber drivers? Have you ever been in situation you would have said, the regular taxi drivers are better driver than Uber driver? Hey Max – I’ve found the driving quality to be consistent, usually quite good with Uber drivers. But of course, there’s good and bad Uber and regular taxi drivers out there. Nice blog Earl. Loved it! Amazing how simple it is to save money. Must be similar to how Skyscanner, Booking.com etc. put up prices when you show increased interest. I’ve also had that where I’ve been charged a parking fee in an airport when I shouldn’t have but in the past I have just paid because I was too shy to say anything! Plus it was in Vietnam so didn’t seem worth it for the extra amount they charged. But maybe it’s the principle and the actual amount doesn’t matter, I don’t know!! Anyway, enjoyed reading this and a great tip for the future! When travelling with any service like Uber, I also have my phone on with an app like Google Maps, with witch I can also follow the route and quickly show the driver if they are off track. It always seem to deter any re-routings they might otherwise try to make.